Z Warrior Mailbag – Win a Box of The Movie Collection! Hey folks, TGIF! Thank Goku It’s Friday, naturally. We are chomping at the bit to show off some previews from the next set, but they are still banished to the Negative Zone until approvals allow the curtain to be lifted. Just a few weeks remain until The Movie Collection is unleashed, and Organized Play kicks off shortly after that – get ready! Also, be sure to check out below for details about your chance to win a box of The Movie Collection. In my opinion, Saiyan is completely underrated in the current environment! That being said, Saiyan definitely receives a lot of new toys in the next set. Fans of Saiyan Vegeta will be thrilled to answer an early Wall Breaker with Saiyan Backbreaker, which benefits from attached cards being in play. Red Relaxation is similar to Tien’s Mental Conditioning, but it has been reimagined into something that is more balanced in the modern game. Even without powering you up to full, it’s an efficient card that helps Red smooth out turns and generate advantages without spending an action. Red decks are often hit the hardest by any sort of disruption to their sequencing, and Red Relaxation addresses that issue in more ways than one. For example, instead of simply gaining an anger it [REDACTED]. With the current emphasis on Survival as a prominent mode of victory, a TE* format in this game would not be that much different from the normal constructed environment. We’re always on the lookout for alternate formats that might make the game more fun, but right now the focus is on a balanced and competitive metagame for the upcoming Regionals. *A format in the old DBZ CCG that did not allow MPPV or Dragon Ball Victory. Blue receives another attack Setup. One of the new MPs has a card that advances a personality level, and it does not say “You cannot win by MPPV if you use this card.” There is a card similar to Babidi’s Evil Plans in the set. Turles is very harsh against decks with a lot of Endurance. Both of the Ultra Rare cards in the set are limit three per deck, and one of them depicts Turles blowing up Piccolo. And yet, there is still so much more to show you. . .
That brings us to the end of this week’s questions, and you can always voice your opinion by sending a message with “MAILBAG” in the title to dbz@paniniamerica.net. Also, this week’s question of the week gives you a chance to win a booster box of The Movie Collection! To win, reply in the comments section for this post (and verify that the contact info on your account is up to date). A random winner will be chosen from amongst the correct replies (one guess per person), or whichever answer guesses closest! In The Movie Collection, what is the power level of Turles Level 3 at six stages above zero? My guess will be .. 155,000! 90 000!! It’s 90 000!!!!!! my guess for Turles level 3 at 6 stages above 0 is going to be 8,000. 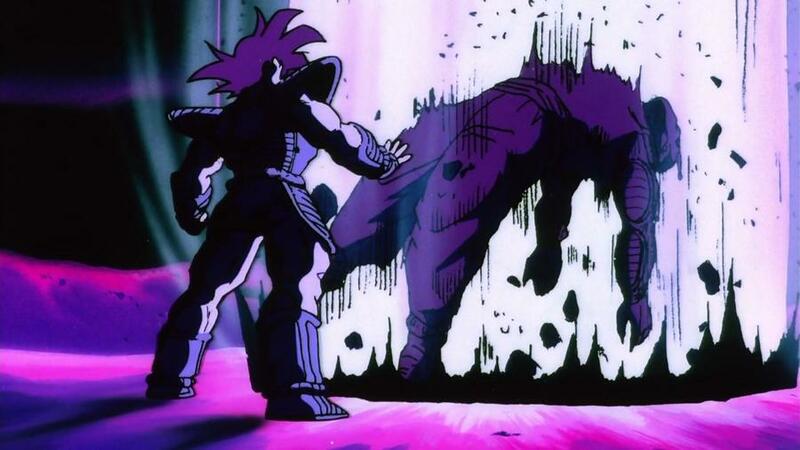 My reasoning is: Turles is a low class saiyan warrior. This should make him weaker than Nappa and Vegeta when they arrive to earth. Nappa was at 10k at the similar level and power stage ranking. Though I see him never breaking out of the C power ranking just like like Nappa, but he does need to be playable as well. My guess for. Turles at lvl 3 and. 6 stages is 500,500. No more guesses; the entry window has closed. We will notify the winner via email and will send out the box after the set has released. Thanks to everyone for participating!